The Bulldogettes said goodbye to their senior players and manager Tuesday night as they closed out the basketball season with a game against the Colorado City Lady Wolves. Coahoma lost to Colorado City 61-34. Before the game, all four senior players — Paige Atkins, Jovi Gonzales, Cassie Grant, Julia Cortez and the team manager Andrew Romero — were escorted by their parents to center court to be recognized for their contributions to Coahoma athletics. After the ceremony, Coahoma and Colorado City turned their attention to a competitive game of high school basketball. Early on, the Lady Wolves dominated the game scoring in the double digits and effectively keeping the Bulldogettes away from the net. 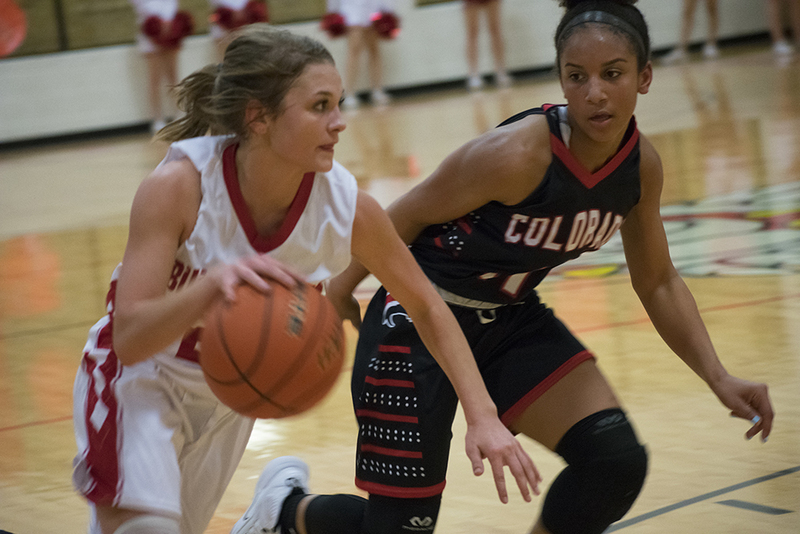 By the start of the fourth quarter, Colorado City had built a 43-18 lead then Cortez dropped 2 which started a fire under the Coahoma seniors. Grant made all her 11 points in the fourth. Five of those points came at the charity stripe, two from baskets, and one from behind the arc. Paige Atkins also added to Coahoma’s 16-point, fourth quarter haul by burying a beautiful shot from behind the 3-point line. Grant and Caitlyn Corley were the top scorers for the Bulldogettes in the game. Both girls earned 11 points each. Colorado City — Mia Monroe 24, Kaci Hudson 6, Lina Rivera 8, Morgan Munoz 1, Morgan Munoz 5, Taylor Smith 8, Kayla Casares 2, Haley Bridges 7. Coahoma — Caitlyn Corley 11, Madison Rogers 5, Paige Atkins 5, Cassie Grant 11, Julia Cortez 2. Free Throws — Colorado City 21-28, Coahoma 9-14; Three-Point Goals — Colorado City 6 (Monroe 3, Rivera 2, Smith), Coahoma 2 (Atkins, Grant); Total Team Fouls — Colorado City 14, Coahoma 18. 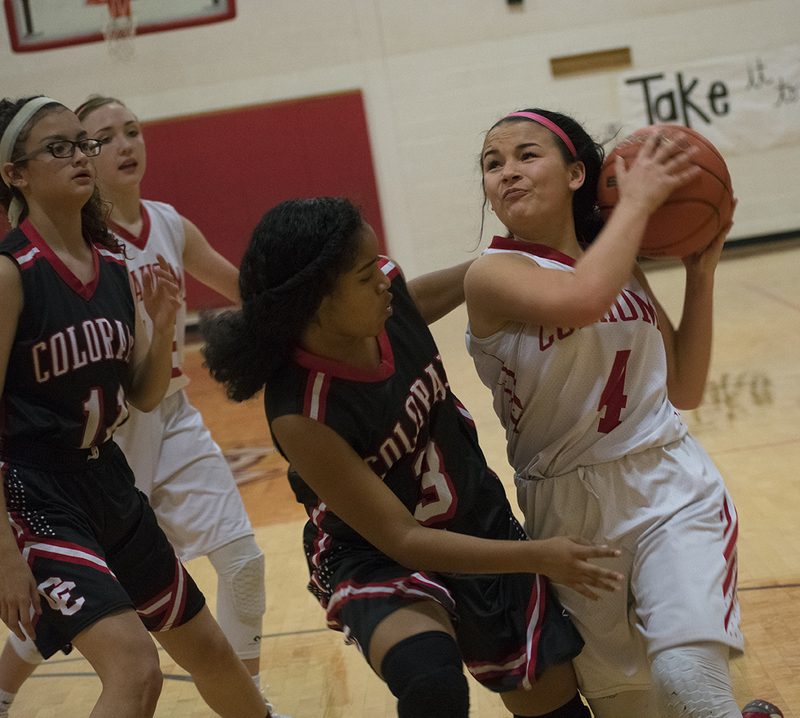 The Bulldogette JV team fell in the season closer Tuesday night to the Colorado City Lady Wolves 39-25. Vada Cortez led the Bulldogettes with 8 points and Katlyn Johnson followed with 6. Colorado City — Lastly 15, Koch 4, Kern 4, Johnson 2, Rivera 6, Sims 8 . Coahoma — D. Rawls 1, Layla Salinas 2, Katlyn Johnson 6, Kaylie Kaczyk 4, Vada Cortez 8, Karissa Beeman 4. Free Throws — Colorado City 15-28, Coahoma 3-4; Three-Point Goals — Colorado City 2 (Lastly, Sims); Total Team Fouls — Colorado City 10, Coahoma 19.